JSU got a solid win over Southeast Louisiana on Tuesday night. JACKSON, Miss. – Camry Dabney put down 14 kills, and Tielar Richards notched 12 kills as Jackson State prevailed in a hard-fought four-setter against Southeastern Louisiana (25-22, 26-24, 16-25, 27-25) Tuesday night at T.B. Ellis Gymnasium. Eight JSU players notched at least one assist, with Tyler Moorer posting 11 helpers to lead the Lady Tigers. 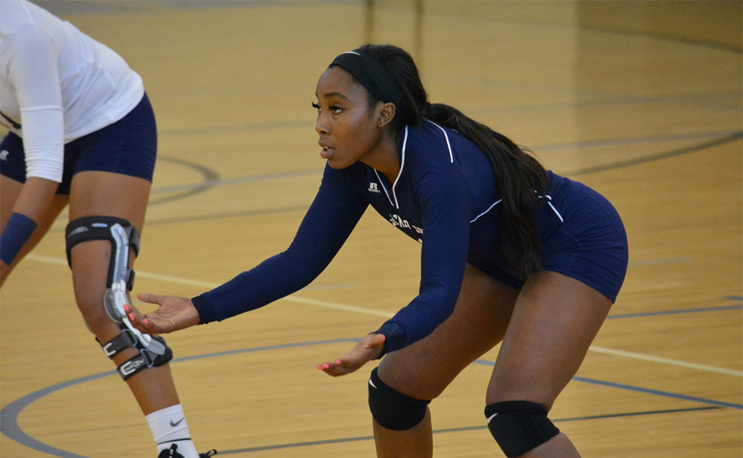 Markayisha Masani was a dig shy of a double-double with 10 assists and nine digs. After fending off a late Lion charge to take set one and coming back from a 21-18 deficit with a 8-3 run to go ahead two sets to nil, Jackson State was denied a sweep thanks to a sluggish start to the third frame that the Lady Tigers were unable to recover from. In the fourth, Jackson State controlled the action early on before Southeastern Louisiana made its move late. However, the Lady Tigers were gifted the deciding scores late, as the final four JSU points came via Lady Lion gaffes. Prairie View A&M overcame a 1-0 set deficit to defeat Southern in four frames and improve to 4-3 in SWAC play (4-15 overall). Southern dropped to 1-6 in league standings (2-14 overall). Cetara Carter led the Lady Panthers with 13 kills. Jaylan Thomas – who came in as the league leader in kills per set during conference play – added 12 kills and 11 digs, and Latrice Brown put away 11. Alyssa Caltado (22) and Erica Jimenez (18) combined for 40 assists. Christen Augustine collected 14 digs. Southern’s Paige Hall led the Lady Jaguars with 12 kills and five block assists. It was the third time in the past four matches Hall had crossed the 10-kill threshold. Arabella Hall added 10 kills. Vaterra Calais put up 29 assists, and Bailey Jefferson led with 11 kills.